As any pet service business owner knows, recurring appointments are the bread and butter of the business. Perhaps you have grooming client that comes in ever six weeks, or maybe you can a weekly boarding appointment for Fido. Either way, DoggieDashboard has you covered. 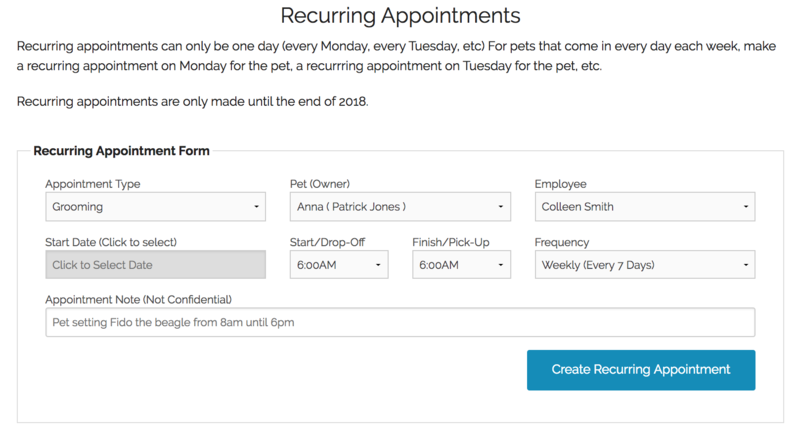 To get started, simply insert the appointment information and how often it repeats and DoggieDashboard takes care of the rest.